“Short books” is one of publishing’s new trends. Penguin specials are some of the most recognizable examples, but other publishers have picked up the model. 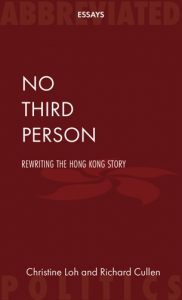 Christine Loh, with co-author Richard Cullen, have recently published No Third Person: Rewriting the Hong Kong Story (Abbreviated Press, October 2018). This brief (12,000-word) work discusses the realization that the British version of the Hong Kong story no longer holds, that the city and its people are stuck without a compelling narrative that joins the past and future. The book is based on their thoughts of what a new Hong Kong story might be: a story, moreover, to be worked out between Hong Kong and mainland China and no one else. 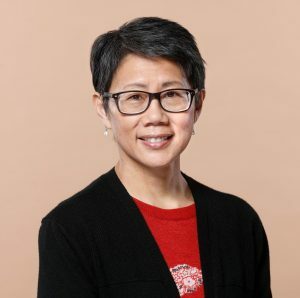 Christine Loh Kung-wai has served Hong Kong in the public, NGO and educational sectors for more than three decades, most recently as Hong Kong Undersecretary for the Environment. She is author, co-author and editor of numerous books on Hong Kong history and government. Peter Gordon has been involved as a writer, publisher and editor in Hong Kong’s book circles for almost 20 years: The Asian Review of Books, Chameleon Press, The Abbreviated Press, etc. 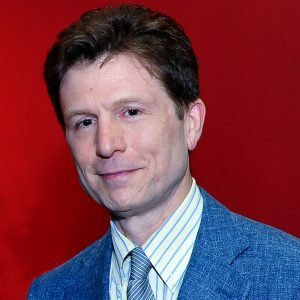 He is co-author of The Silver Way: China, Spanish America and the Birth of Globalisation, 1565–1815 (Penguin Special, 2017). Admission includes one drink and refreshments.